California is a pioneer in judicial education and CJA led the way. Until the 1950’s, judges in California were elder statesmen whose professional education was the experience of a long law practice and the ‘kindly advice of senior jurists.’ When younger judges began to take the bench after 1959 the judge’s association created a two-day Judicial Institute at Boalt Hall, which established the tradition of high-quality continuing education taught by judges. In 1967, CJA (formerly the Conference of California Judges) established the Judicial College with a grant from the Ford Foundation. The College took root and within a few years needed a full-time sponsor. In 1973 CJA and the Judicial Council cooperated to form the Center for Judicial Education & Research (CJER) to administer the College, develop an orientation and design an ongoing education for experienced judges. CJA remains a proud ‘parent’ to CJER and complements CJER’s curriculum with specialized programs for members. Typical CJA program year: March, Retired Judges Conference. May, family-friendly Mid-Year Conference in Palm Desert. August, Education & Cultural visit. Locations change annually. Fall, CJA Annual Meeting, occasionally held in conjunction with the State Bar Annual Meeting. 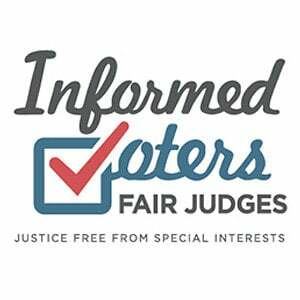 Judicial Elections Workshops are held just after the final filing date before Primary Elections.